InSanity lurks Inside: Rumor Alert- Jekyll and Hyde Club Coming to City Walk? 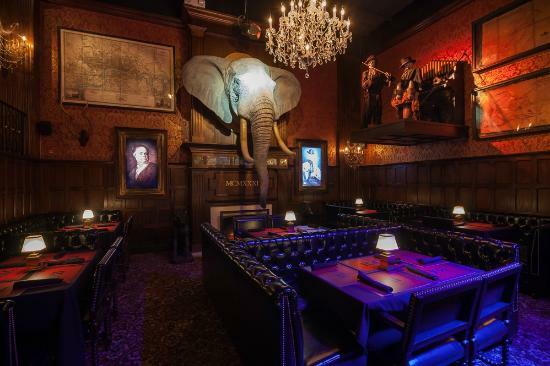 Rumor Alert- Jekyll and Hyde Club Coming to City Walk? The newest rumor swirling at Universal Orlando's City Walk is that this big new announcement, due on December 12th, will be that the famous Resturant and Night Club "Jekyll and Hyde" from New York City may be moving into City Walk. Rumor has it the new construction around the old Latin Quarter building is beginning to look very Gothic in nature. This has been a rumor before but has never come to be. Although I admit, City Walk would be an excellent fit for a 'haunted" themed anything, more so with the new mini-golf coarse having a 'haunted' area also. More News on December 12th with the Big Announcement!